Advis leverages our unique understanding of small and rural hospitals to transform performance obstacles into sustainable growth opportunities. Our special advantage lies in the way we approach turnaround assessments for distressed facilities: we provide creative solutions to improve your revenue stream and strengthen provider operations, offering your facility a brighter future and room to grow. We move beyond financial solutions and provide practical answers to optimize clinic care. Advis cares about your success – Our aim is to stabilize and transform your facility to best fit the needs of your community in the most efficient and effective way possible. Financial: With extensive expertise in reimbursement and revenue cycle matters involving a wide range of government programs and commercial payors, Advis can not only answer specific-issue questions, but create a sustainable and effective system-wide reimbursement strategy to ensure your facility’s eligibility to receive and retain optimum reimbursement levels today and well into the future. Operational: From reviewing your facility’s service lines and administrative and clinical staff, to evaluating the physical infrastructure and IT systems, Advis can offer a range of solutions to stabilize, transform, and excel operations. We develop numerous turnkey solutions with special consideration to the unique needs of small, rural and critical-access providers. Our operational road maps not only enhance your ability to deliver care, but are done in sync with your overall facility and financial goals. 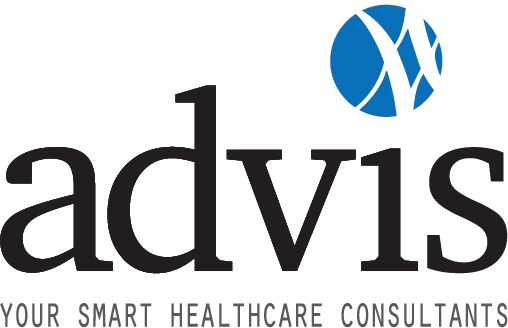 Compliance: Advis has worked across a broad spectrum of regulatory concerns in all 50 states, ranging from provider Conditions of Participation and provider-based regulations to complex Medicare and Medicaid reimbursement issues, coding and billing, and commercial and managed care contract review. Our experience also includes extensive work with critical access hospitals, small community hospitals, specialty hospitals, and micro-hospitals to meet constantly-evolving compliance standards. 340B: In addition to our facility development and management expertise, Advis is well versed in the complexities of the 340B program. We are a national leader in 340B compliance requirements and program optimization. Our services stretch across all aspects of the 340B program to include: external auditing, HRSA audit support, contract/specialty pharmacy development, financial impact analysis, and strategic development. Dramatically improved reimbursement strategies for rehab units in California, Tennessee, and Texas, lessening each facility’s financial liability. Assumed management for an LTACH in Tennessee, improving clinical outcomes and the bottom line. Implemented turnaround and management strategies for a hospital in Nevada that drove financial performance from red to black, stemming it’s closure. Let Advis work for you.